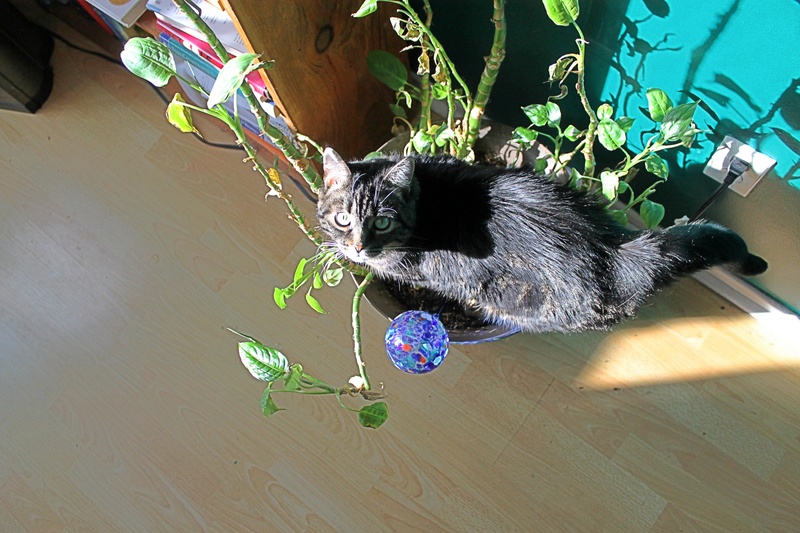 My cat Eowyn always gets excited when I water the plants. She’ll follow me around the house and try to drink the water as it pours out of the watering can. What she doesn’t usually do, however, is climb inside the pot. You can imagine my surprise when she did exactly that earlier this week. She sat in it for about 10 minutes, until she got annoyed with me taking pictures. 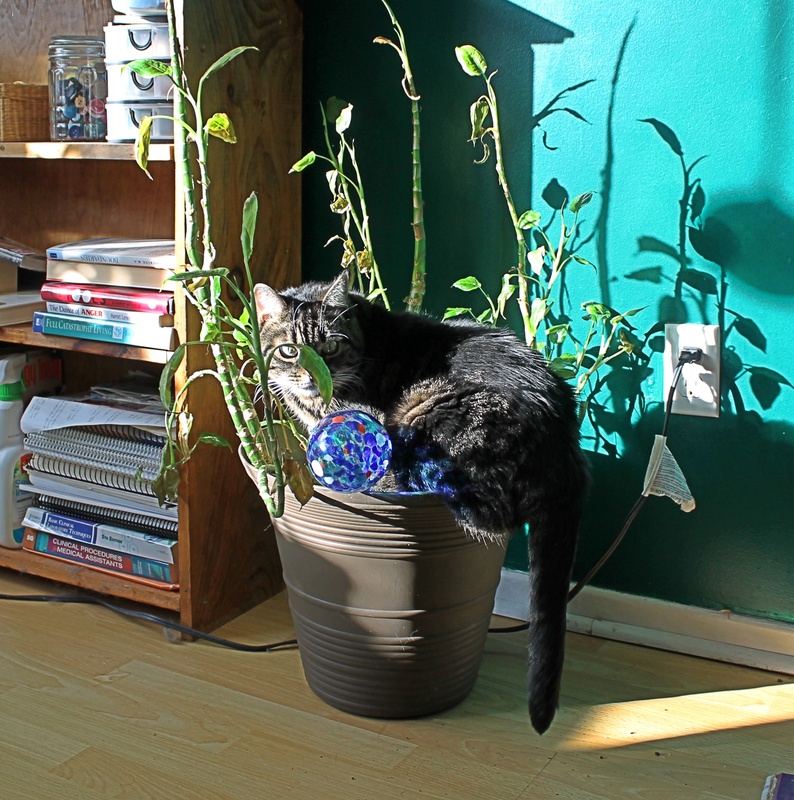 I hope she doesn’t make a habit of it; this plant isn’t in the greatest shape!